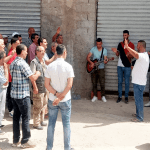 TIZI-OUZOU, Algeria (Morning Star News) – Church leaders didn’t get an explanation for why the seventh worship building to be closed in Algeria since November was sealed last week, but they suspect lack of registration was the pretext. It is virtually impossible to register a church in Algeria under current restrictions. Although three of the six churches previously closed were allowed to reopen last month, the shuttering on Wednesday (July 11) of the church building in the northeastern town of Riki was taken as a sign that harassment of Christian institutions that began in November is not over. The church of about 60 people, which began meeting at its building in Riki, near Akbou in Bejaia Province, on Aug. 11, 2017, had not been able to affiliate with the Protestant Church of Algeria (EPA) because the Ministry of Interior recently ordered the once-legally recognized association to freeze all new applications for membership, said Esaid Benamara, pastor of the Riki church. After the church finished worship on July 7, a Saturday, the congregation was surprised when policemen in two vehicles arrived and asked Pastor Benamara to come to their office. They agreed to his offer to come the next day, and the pastor and his brother went to the office. On July 10, the pastor received a phone call from the police (gendarmerie) asking him to go to their brigade post as soon as possible, and again he went with his brother. They waited there until 7 p.m., when the brigade chief showed up and asked them to leave and return with the building owner because the closure notification was sent to him, the pastor said. They returned with the building owner the next day. Near noon on July 11, two vans from the gendarmerie brigade parked at the door of the church, he said. The policemen told them they had sent a notification of closure to the building owner dated Feb. 24, “something we have never received,” the pastor said. A 2007 executive decree requires all non-Muslim places of worship in Algeria to register with the state, according to the U.S. State Department. Pastor Benamara said the government freeze on new EPA members has kept it from registering. Laws passed in 2012 required the EPA, which the government had given legal recognition to in 1974, to re-register, but officials have yet to give a response since the EPA applied for re-registration in 2013, leaving the umbrella association itself in legal limbo. Christian leaders note that the Algerian constitution’s Article 42 guarantees freedom of belief, opinion and worship. 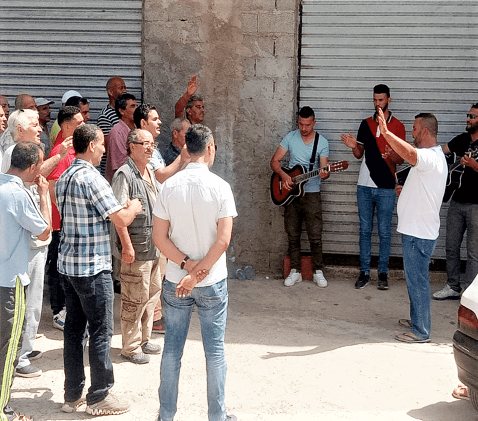 On May 26 authorities ordered the closure of a church building in Ait-Mellikeche, also in Bejaia Province, and another church building in Maatkas, in Tizi-Ouzou Province. A church in a village in Azagher, like Riki near Akbou, was closed in March. At the same time, all churches affiliated with the EPA have been visited by investigators and ordered to comply with requirements for non-Muslim places of worship or face closure. Church buildings previously closed in Oran city, Ain Turk and El Ayaida, all in Oran Province about 250 miles west of Algiers, were allowed to reopen last month. 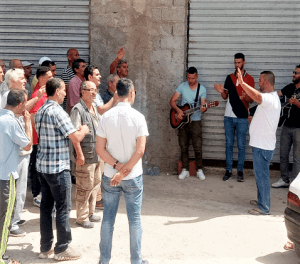 Also last week, a court on July 8 dropped charges against a Christian fined 20,000 Algerian dinars (US$172) plus customs expenses for carrying Christian literature and some crucifix-shaped keychains into the country. Idir Hamdad, a 29-year-old convert from Islam, had been sentenced by a judge at a court in Dar el Beida, on the outskirts of Algiers, who ruled he was guilty of importing unauthorized items without a license. Notice of a six-month prison sentence and fine had been delivered to his home on March 4 stating that he had been convicted and sentenced en absentia on Sept. 28, 2017, but the prison sentence was withdrawn on May 3.